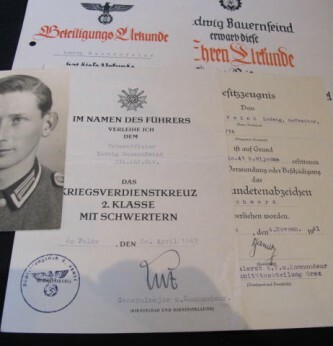 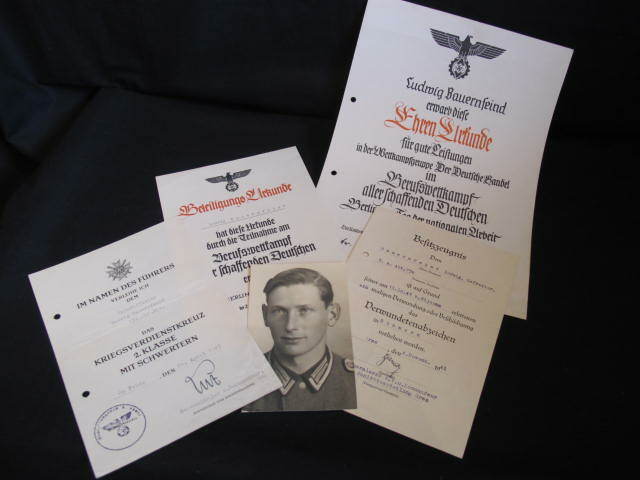 Interesting grouping of citations to Ludwig Bauernfeinf who had service in the Hitler Youth and then went on to become an Unteroffizier in 334th Infantry Division. 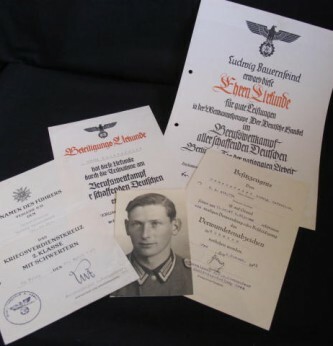 Consisting of award citations issued whilst in the HJ and both with eagle and HJ diamond to top plus his 1941 dated citation for the wound badge in black awarded 4.11.41. 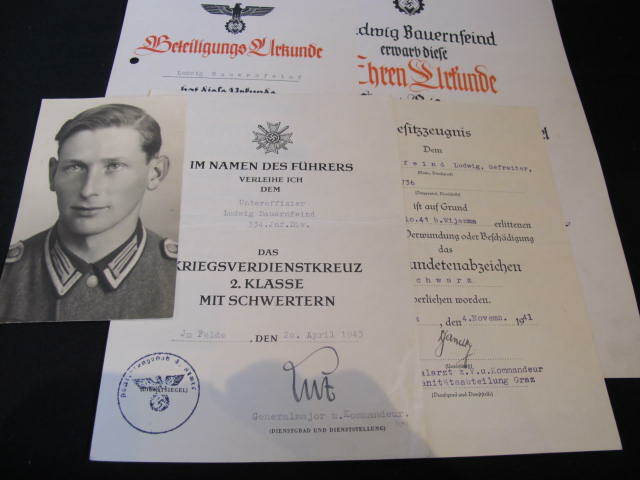 Plus his citation for the War Service Cross with Swords 2nd Class awarded in the field on 20.4.1943 and ink signed by Company Commander. 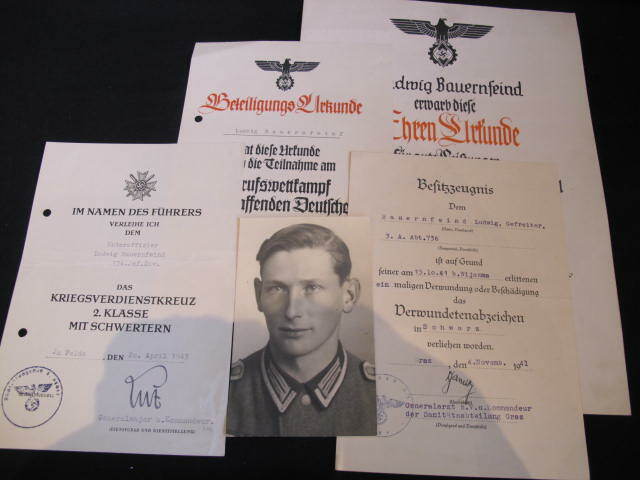 Plus portrait photo of Ludwig in his Army uniform. 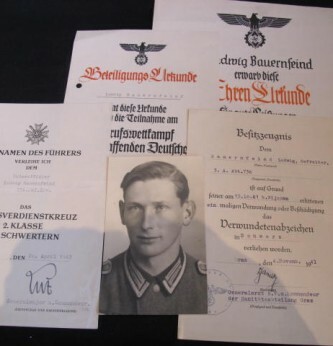 An interesting grouping worthy of further research.